One of Ridgefield’s most unusual social organizations began on March 15, 1938. Thirty-one veterans of World War I sat down to dinner at the old Kane Inn (now Bernard’s) on West Lane. It was the first meeting of the Last Man’s Club, and it would be 51 years till the last meeting. Harry E. Hull, longtime grand marshal of the Memorial Day Parade and the town’s first selectman for several terms, was elected the first president of the club, the only organization of its kind in Connecticut, though similar clubs were found elsewhere, and were also established for World War II veterans. The banquets were to continue until the last man died. Though gradually decreasing in members, the club continued to meet annually and by 1975, only five of the 31 were able to make it to the dinner. Many were dead, some were ill, and others lived too far away to attend. By 1985, two men sat at Last Man’s Club banquet table with 27 overturned plates. Only Mr. Hull and Thomas F. Shaughnessy could attend the dinner. Almost all the other members were dead. In 1989, Thomas Shaughnessy became the last man. 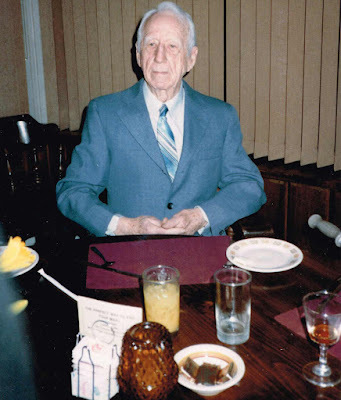 Born in New Canaan in 1900, Mr. Shaughnessy had sailed the world as a radio operator in the U.S. Navy and later on freighters and ocean liners. By 1930, he had settled on shore, buying a house on High Ridge, opening a tree surgery business, and serving as Ridgefield’s tree warden until 1976. He became a commander of the American Legion, and belonged to Rotary and the Knights of Columbus. And he continued to keep in touch with the world of his youth through ham radio. He died at 92 in 1992—having for three years lived the life of the last man.